Upcoming Event: April 20, 2017 from 12:30 p.m. to 2:00 p.m. – NYC Bar Association, Manhattan, New York: CLE Luncheon: Alla Roytberg, Esq., Speaker – Pro Se Assistance and Unbundled Service for Solos and Small Firms. Learn how to provide potential clients with a “process options” consultation, construct a limited scope retainer agreement and act as a consulting attorney throughout the course of their case. Click the title for more information and to register. Upcoming Event: April 18, 2017: Business Networking International, Queens, New York – The Business of Divorce. Alla Roytberg, Esq., Speaker. This presentation discusses how services provided by BNI members of various industries cater to the needs of divorcing and separating families. 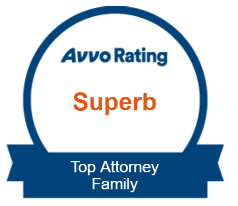 The American Institute of Family Law Attorneys has recognized the exceptional performance of New York’s Family Law Attorney, Alla Roytberg, as Three Years 10 Best Family Law Attorney for Client Satisfaction 2015-2017. Congratulations to Alla Roytberg on this prestigious achievement and recognition for three consecutive years! Upcoming Event: March 2, 2017 at 6:30 pm to 8:30 pm: New York City Bar Association, New York, New York, Writing for Lawyers: Publishing to Advance Your Career. Lara Traum will address practicing attorneys and discuss how writing can serve as an important professional development tool, suggest publication avenues for lawyers who wish to publish their written work, and potential ethical issues that may arise. Upcoming Event: February 27, 2017, 4:30 pm to 6:30 pm: Fordham Law School, New York, New York, New York City Bar Association Panel. Alla Roytberg will address the Fordham Law School community on a panel hosted by the New York City Bar Association, discussing her 25 year journey from admission to the bar after graduation from Fordham Law School in 1991 to small law firm ownership and practice. Upcoming Event: February 21, 2017, 6:30 pm to 8:30 pm: New York City Bar Association, New York, New York, Law and Mediation: Attorneys as Problem Solvers. Lara Traum will address a community of aspiring mediators and attorneys to discuss how mediation has become ingrained into our legal culture, share about her own career paths, and give recommendations for education, training, and experience. December 8, 2016 at 12:30 p.m. – New York, New York: Alla Roytberg, Esq. – CLE Luncheon Seminar at the NYC Bar Association – “Pro Se Assistance and Unbundled Service for Solos and Small Firms”. Alla is a featured speaker at this seminar that will teach lawyers how to tailor their practice to fit the needs of clients who want to hire an attorney to assist with specific elements of a case, but not the entire case, such as legal document preparation, document review, advice and, where permitted by law, limited scope court appearances. Attorneys will learn how to provide potential clients with a “process options’” consultation, construct a limited scope retainer agreement and act as a consulting attorney throughout the course of their case. November 8, 2016 at 7:30 a.m. – Queens, New York: Alla Roytberg, Esq. – Presentation to Business Networking International – “Divorce Process Options in New York”. Alla will present an overview of choices faced by families involved in a separation and divorce in New York, including choice of courts for different cases, divorce mediation, collaborative divorce, contested and litigated divorce for high net worth families, and how people of moderate means can use partial legal help to represent themselves and finish their own divorce. In September of 1996, I embarked on a new journey when I dared to leave my job as a litigation associate and rent a small room inside a law office in Forest Hills, located 2 blocks from my home. I have never looked back. Over the last 2 decades, we have fine-tuned our menu of services to unite under one vision – to provide as many options as possible for people, families and businesses to navigate the legal world in a way that works best for them. 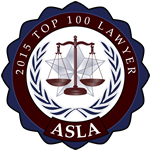 20 years later, the Law Firm and Mediation Practice of Alla Roytberg, P.C. is continuing to help people of all ethnic, religious and socio-economic backgrounds, from clients of moderate means to high net worth families and business owners, solve their legal problems. We educate them about all available options, provide tailored solutions, and offer expert advice along the way. 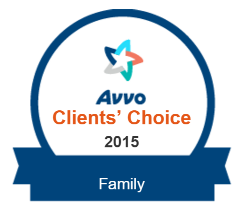 Our goal is to help each client achieve the best outcome possible. I thank you for your support, your helpful suggestions, and your loyalty during the last 20 years, and look forward to helping you and your loved ones for years to come. 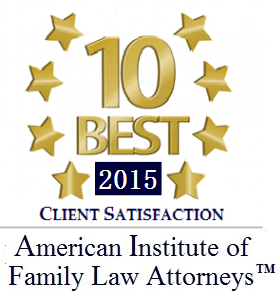 The American Institute of Family Law Attorneys has recognized the exceptional performance of New York’s Family Law Attorney, Alla Roytberg, as Two Years 10 Best Family Law Attorney for Client Satisfaction 2015-2016. Congratulations to Alla Roytberg on this prestigious achievement and recognition for two consecutive years! Judges don’t have the ability to give one case a lot of attention. Some judges are not financially savvy and rely on the parties’ lawyers to educate them. The result is often not well crafted, not thought out and sometimes even very unfair long term, if certain issues, such as tax benefits, capital gains and other matters are missed.” – Alla Roytberg – quoted inMyBankTracker.com and in a “Law and More” blog. October 22-25, 2015 – Reston, Virginia: the Academy of Professional Family Mediators Annual Conference: Selling Peace in an Adversarial World, Alla Roytberg, P.C. will be presenting a workshop: Diversity and Cultural Sensitivity in Mediation – Add Multi-Cultural Mediation to Your Tool Box”, Alla Roytberg, The Law Firm and Mediation Practice of Alla Roytberg, P.C. and Lara Traum, Benjamin N. Cardozo Journal of Conflict Resolution. Monday, October 19, 2015 – New York, NY: Engagement at the Cardozo Journal of Conflict Resolution’s Jed D. Melnick Symposium “All in the Family: Intimate Parties, Intimate Issues and ADR” from 9 a.m. to 6 p.m. at the Benjamin N. Cardozo School of Law. The Law Firm and Mediation Practice of Alla Roytberg, P.C. is pleased to announce the launch of Moderate Family Mediation: Low Budget Family and Divorce Mediation Project, offering low cost private mediation opportunities to clients of moderate means. To learn more please email our staff mediator/project director Lara Traum at laratraum@www.goodlawfirm.com. Alla Roytberg, Esq. is pleased to announce the launch of the Law Firm and Mediation Practice of Alla Roytberg on FACEBOOK. The purpose of this group is to provide clients with quick answers to questions on the divorce and separation process in New York. Alla Roytberg, Esq. is pleased to announce, that she currently serves as Co-President of the Family and Divorce Mediation Council of Greater New York, an organization which has united New York City Family Mediators for over 25 years. In order to aid clients caught in the mortgage foreclosure crisis, on June 18, 2008 Alla Roytberg, Esq. has completed The Lawyers’ Foreclosure Intervention Network Attorney Training co-sponsored by the New York City Bar and the Federal Reserve Bank and is now available to clients seeking foreclosure workouts. Alla Roytberg, Esq. is pleased to share that she has been quoted by Crain’s New York Business on May 10, 2008. In response to numerous requests and to assist our clients in the current economic environment the Law Firm and Mediation Practice of Alla Roytberg now accepts Mastercard and Visa as alternate forms of payment. To accommodate requests of existing clients, Alla Roytberg has completed Certified Training for Guardians, Court Evaluators and Attorneys for Allegedly Incapacitated Persons and is now available to serve as Guardian, Court Evaluator or Attorney in Article 81 Guardianship Proceedings. Alla Roytberg is pleased to announce that she currently serves as Director of the Small Law Firm Center at the New York City Bar Association and is available as a resource to attorneys in solo practice and small firms on Tuesdays and Thursdays. Alla Roytberg is pleased to announce that she currently serves as Member of the Matrimonial Committee at the New York City Bar.